For the past couple years I’ve enjoyed watching many designers create some great artwork and icon libraries using a more line-art and generally minimalist style. Unfortunately I haven’t really had the chance to try making anything like that myself to-date … mainly because my day job doesn’t need it and my (little) artistic free time usually goes to iPad painting. Another thing working against me here is that most of my vector artwork skills have historically been dependent on a somewhat-obsolete illustration application – Adobe Flash Professional – and I’ve never really gotten comfortable with the more traditional, industry-standard one Adobe Illustrator. Well I finally got fed up and forced myself to make something in this style using Adobe Illustrator to see if I could pull it off. 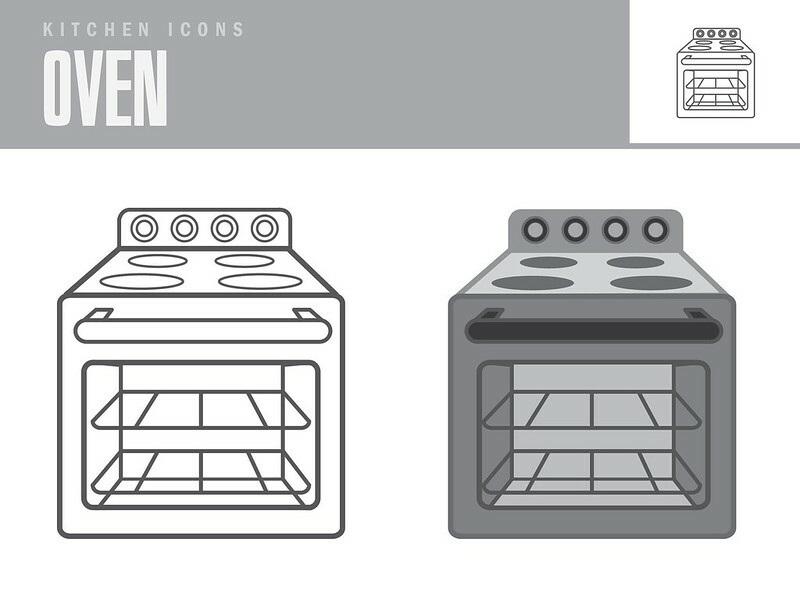 The first thing that came to my mind was an oven icon … maybe because I was hungry at the time? The final product isn’t a mind-blowing work of art and I still have lots to learn but I’m happy with it and am going to try to continue the theme to make a few more icons to hone my Illustrator skills a bit more. 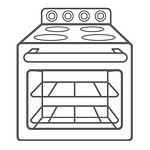 This entry was posted in Artwork and tagged icon, illustrator, oven, vector. Bookmark the permalink. I still use Flash over Illustrator every single day. The beauty is in the simplicity of the tool set. It’s like Matisse making his masterpieces with nothing but finger paints. Yes, Illustrator certainly has its merits and uses, but I can’t see making “the switch” any time soon myself. Hey Craig! Long time no see – good to hear from you. Love your pulling in Matisse to the Flash/Illustrator conundrum – and also glad to hear you’re in the same boat as me. I wouldn’t be as annoyed w/the whole topic if Adobe made bringing artwork to/from Flash to/from Illustrator a more feasible/seamless experience – sadly it’s still super wonky and doesn’t work half the time. Anyhoo – thanks for the note … does help knowing there’s another Flash vet out there w/the same situation. Later! BTW Craig – where do you post your stuff (work or play) these days?